You are hereThanks for Olympic Day! 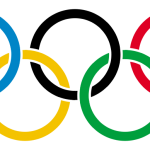 Held annually on June 23, this day celebrates the birth of the modern Olympic Games and is an international effort to promote fitness and well-being in the spirit of the Olympic ideals of fair play, perseverance, respect and sportsmanship. World Sport Chicago hosted its annual Family Sports Festival in coordination with Olympic Day Chicago on June 15 at Seward Park. Last year's Olympic Day/Walk to London 2012 event was an outstanding event as it featured more than two dozen Olympians, Paralympians and coaches who assisted more than 2,000 youth and their families as they attempted 30 sports.